What is meant by energy-efficient garage doors? Our garages have increasingly become an area to store almost everything we don’t want to keep in our basements: all sorts of tools, bicycles, etc. In addition, we’ve noticed homeowners more and more using their garage like an extension of their house, with it becoming a play area for kids or a home gym. Another trend we’ve noticed in Canada as much as the United States is that buying long-lasting, energy-saving products is getting to be the norm, not the exception. As a result of the cost of establishing infrastructures (water, sewer), municipalities are looking to reduce the size of lots for building new homes. That means there is less backyard space to use for the kids to play, a pool, or a garden plot. That leaves little or no room for shed. When the time comes for your next purchase of a garage door, here are some points to consider that will help you to make a responsible decision. Insulated garage doors that use polyurethane foam don’t only ensure you of good insulation, but since this insulator adheres to the walls of the door, it also guarantees you have a strong product with flexibility that surpasses all other types of insulation. Another factor to consider is the door is made from recycled material. Are these same materials recyclable? If the door is made from aluminum, this material can be easily recycled. The tracks, rollers, hinges: what type of steel are they made from and what are their thicknesses? Tracks and hinges should be at least 14 gauge (0.073" or 1.9 mm), and the rollers should be made of steel with 11 ball bearings. Exterior frame weatherstripping, like that at the bottom of the door, is made of PVC. PVC quality can be measured by its flexibility at sub-freezing temperatures. Be aware that the more you pay for it, the better quality you’ll receive. The weatherstripping found between door sections should be closely examined. Does it effectively stop air infiltration? Does it have a thermal break? Whatever you invest in a new insulated garage door won’t pay off if you don’t purchase a truly insulated door, especially one that is watertight and airtight. 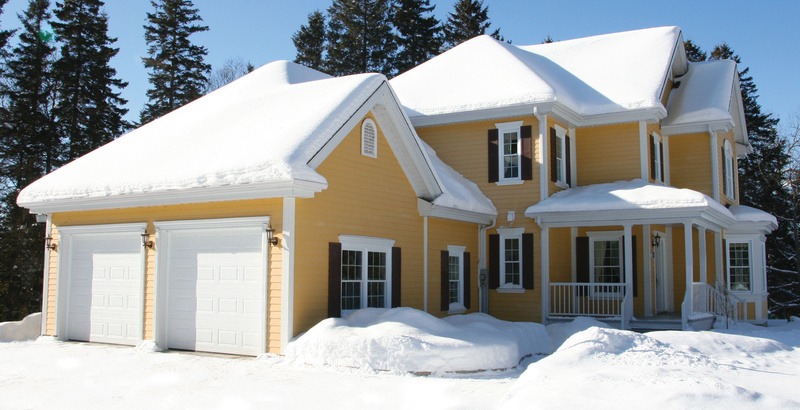 Opt for a garage door insulated with polyurethane foam – it is the best insulator currently on the market. Take a close look at the weatherseals found at the bottom of the door, between the sections and at the perimeter of the door. Are they, in fact, effective and efficient, particularly when the temperature falls below freezing? Take a look at your door opener to see if it is an energy hog and thus not part of your energy saving solution. How can we really judge the effectiveness of energy efficient doors? 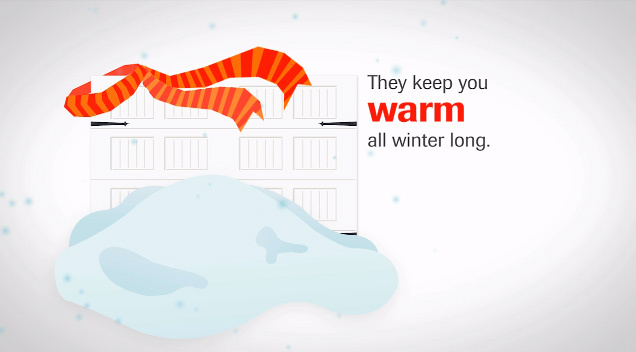 1- Above all, what matters most is for your garage to stay warm in winter and cool in summer. It’s the comfort of you and your loved ones that you are looking for first. 2- If your garage is insulated, this comfort is judged when you start your car in the morning, not covered in snow and relatively warm. Take the time to glance at your car’s thermometer. When you’re outside in a couple of minutes, you’ll see the temperature differential. If your garage door meets the criteria listed up to here, and there is no supplemental heating, your garage will stay at a temperature between 40°F and 45°F (5°C and 8°C). How is this possible? Simply because each time you bring your car back into the garage, since the motor is hot, this heat stays in the space. Another factor is that each time you use the door between your house and the garage, there is a transfer of heat to your garage. Finally, it is essential to take the time to correctly install the door in order to maximize its energy efficiency and keep everything safe for you and your family. Count on the assistance of GARAGA garage door installation professionals. They know garage doors like no one else. They know how to advise you on the best choice to make while respecting your tastes and budget. Purchasing a long-lasting and energy-efficient garage door makes your investment cost effective. It’s a logical and money-saving choice!